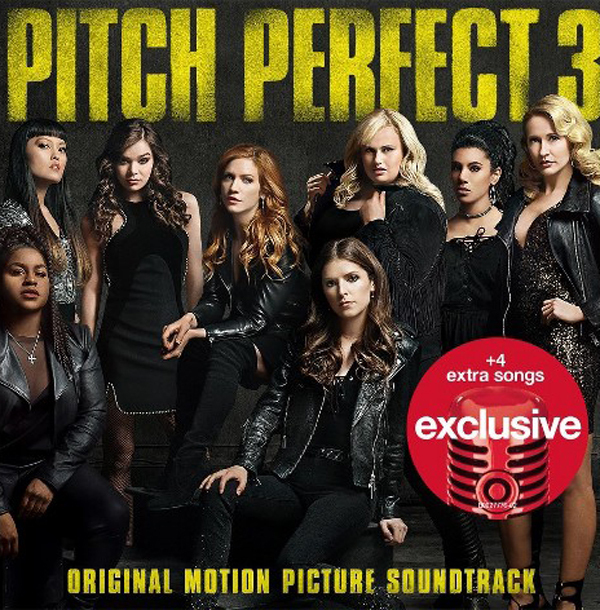 Combined, the albums for Pitch Perfect and Pitch Perfect 2 have sold more than 4 million worldwide. The hit single, "Cups" has sold more than 4.6 million downloads, received 751 million streams and has been viewed more than 376 million times worldwide on VEVO. Album producers include Julianne Jordan, Julia Michels, and Harvey Mason Jr., with Jordan and Michels serving as executive music producers on the film. Alana Da Fonseca (Alvin and the Chipmunks, The Perks of Being a Wallflower), serves as one of the movie's vocal arrangers/producers, along with Ed Boyer (The Sing Off) and Deke Sharon (International Championship of Collegiate A Cappella co-founder). NBC's The Voice Top-12 Artists and the stars of Pitch Perfect 3 debuted the first-ever full-length music video in the history of The Voice during the November 21 episode, highlighting the signature styles of each vocalist. Pitch Perfect's franchise building song "Cups" and George Michael's "Freedom! '90," the anthem of this January's Pitch Perfect 3, are seamlessly mashed-up in the video. Find the full-length music video on YouTube.